I grew up with a family that answered the door or their phones and pretended to love what that person was doing, saying or asking, but would turn to us and say, “So-and-so always wants me around just to do something for her or him. It makes me mad.” But then they would do what the other person wanted while pretending to be really happy to help. I realized at 17 that I was the same people-pleaser that each of my family members were. I was angry, at first, with my mom, dad, sisters, brother (and myself) for allowing ourselves to be used because we were so nice! When I started blaming myself for being a hypocrite and helping out everyone else’s situations and problems as if they were more important than mine, it was hard to stop making sure that everyone else was happy and I (believed) was the cause of their happiness! When I complained to my family, they all agreed how horribly used we all were (and also, how good we were). We agreed about the great suffering we all were in. We were so self-righteous about how giving and unappreciated we were. But we still kept being a people-pleasing family. I decided that I didn’t need to be a people-pleaser just to feel loved by my family after I went to church and another girl said to me that she had made a decision to create boundaries with others and make sure that her actions, thoughts and feelings were true beliefs according to God. I didn’t understand what boundaries were until then. I started practicing this new behavior at home, after praying about changing myself and being true to myself and God, and I thought my family would understand and do the same. Wrong! They threw me under the bus with everyone else they were so “nice” to. It’s hard to try to communicate with them when they act like I’m a traitor. They say behind my back that I really wasn’t ever the nice one in our family. So I’m trying not to talk with them because no matter what I say or how I say it, I feel like I’m the rotten sister and daughter. Why am I still trying to please them? People-pleasing is a habit in your family. You grew up with a family that shames and blames others, behind their backs, because they don’t have their own feeling of worth. You found your true value through the eyes of our Lord. He validated that you are loved and using the greatest gift he has given all of us … free will, free agency, or call it free choice. His greatest gift means that you can choose who you want to be. He’s helped you to use your voice, heart, and wisdom to change for the best. You are obviously a truth-seeker and found out it makes you happier to be true to yourself and to your creator. Change, though, creates fear in others and ourselves until we are solidified in our choices. Why? Your family probably knows deep in their hearts that being a God-pleaser will make them happier than a people-pleaser. You are being a genuinely giving, caring and authentic person. However, if you are right, they think, in their pride, they must be wrong. Being agreeable is your family’s mantra right now and you can’t change them. But don’t doubt yourself and the revelation that you have received from your omnipotent source. Keep practicing being strong, fervent, and humble about living truthfully. Pray for your family, too. You have started to change a cyclical dysfunctional family habit that will benefit your next generation. I just heard you speak at [a juvenile detention school] I’m in. You guys are stupid-lame and treat everyone like they are babies. Anyone who kills themselves because they can’t say anything back for themselves deserves to die. I’m so sick of girls at my school acting like they are victims and then whining to each other. This whole bullying thing is making this world a bunch of wimps. I’ve been bullied. Everyone’s been bullied. So what! We hear you and can only imagine the emotions which stir up for you as you witness your peers not able or choosing to advocate for themselves. And we suspect that you are not really “over it” and you’re in denial. You could benefit from professional help. Your hostility is evident. Contributing and serving someone else could make a positive difference in your life and those around you. Consider taking action now to benefit others. Have the courage to use your strengths and stand up for victims. Victims could use your aid. Cyber Bullying – 25% of teens are repeatedly bullied this way and half don’t tell their parents. And 11 percent of middle school students have been victims of cyberbullying in the past two months, according to one study. Bullying deeply affects children, teens and may stay well into adulthood with depression, anxiety, suicidal thoughts, substance abuse, and self-harm, with cutting being the most rampant. Lifelong burdens afflict many women: continued bullying and abuse by a spouse or boyfriend is projected at 80-90 percent for those who were bullied in their childhood and/ or teens. We are glad you wrote. You would not have written to us if it wasn’t something that actually does matter to you. We’re sorry that you were bullied. 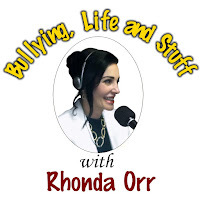 Yes, most of us have been bullied at some point in our lives to some degree; however, serious and horrendous bullying has increased aggressiveness. Staggering amounts of cruel bullying is occurring, especially with the advent of cyber-bullying and also with the increasing lack of civility in our society. It’s happening at younger and younger ages. Follow our Triangle of Triumph which helps girls to go from Victim to Survivor to Leader! How do you do that? -Decide to not be a victim and gently help others to make that choice without manipulation, badgering or bullying them. -Learn to Define Yourself Before Others Do™ in social manners that include consideration and compassion for yourself and others. -Lead by example: which means making genuine compliments and observations about the person you want to connect with, listen more than you speak and ask questions to gather additional information about that person (without judgment), summarize that you care about the person you are creating a relationship with, by reiterating what you heard them say, and finally suggest an activity to do together. You need to create healthy relationships and not hostile and controlling ones. We hope you will let yourself feel for you and allow others, including this response, to be of service to you. We hope you will try to help yourself first and then help others. Our society is in dire need of true compassion and kindness. Please don’t pass along your anger and callousness to others. We know you can change for the BEST! My mom has a lot of tattoos. My friends have bugged me about this since I was little. But now I am graduated from high school and I am thinking about getting tattoos also. Two of my friends went crazy about this when I mentioned it. Not only did they say really mean things about me but they said horrible things about my mom. They said I will be just like her and have tons of boyfriends and not have a job most of the time. One of my friends even went so far as to put it up for a poll on her Face book. It’s like I’m not even living or something. I feel like I am being bullied. I think I’ll just do it when I’m eighteen in August and go to college. They keep telling me I’m insecure and making a big mistake. I don’t feel that way about myself. Twenty years ago, tattoos on women were acknowledged as edgy statements about the tattooed woman. Today, it’s ordinary. It’s still self-limiting by trying to define yourself with words, phrases, or pictures that don’t portray who you really are. It’s a distraction and misinterpretation about your civility, courage, confidence, creativity and elegant carriage. These are our 5 C’s to Define Yourself Before Others Do. The truth is, the world is visual and society does define others by what’s “inked” on their bodies. It is still viewed as an impulsive, immature and insecure act. Definitely don’t “get ink” or not “get inked” because of peer pressure from bullying. Tattoos can’t symbolize all that you feel, think, and care about yourself and others. Instead it can present how vulnerable you are. It causes you to be an easy target for victimization. It can’t show how you grow, evolve, gain intelligence, and wisdom. We live in a very judgmental society. Twenty years ago, it took someone 20 seconds to judge your socio-economic status, intelligence, political and religious values, and virtue. Now, it is only 8 seconds before someone else defines you. Tattoos that you might think are cute now might be immature later in life, like a kitten or cartoon. It’s wrong for your friends to bully you and your mom. Obviously your mom’s love and care for you are not defined by her tattoos. Explore the reasons your mom got the tattoos and ask her opinion about you doing the same. She may well encourage you to wait and take more time to make such a life altering decision. Show her this column and discuss it with her openly and with love. 10. They can’t embody your true character and heart. 9. You and your tattoos will age. The number one plastic surgery is tattoo removal. 8. Employers, more often than not, won’t let you show them. 7. You will define yourself differently as you grow and mature. 6. It won’t mirror the many talents, qualities, virtues and characteristics you have. 5. If you have to explain what your tattoo is or means, then it isn’t effective. 4. People often can’t discern what your tattoos are (or mean) in a short period of time. 3. It’s very expensive to change or remove and usually “good ink” costs a lot, too. 2. It’s too commonplace today and not a unique or defining trait. And the number 1 reason: You don’t need a tattoo to broadcast that you have worth. We hope you do not get a tattoo and at the very least, we encourage you to wait before getting a permanent statement on your precious body. Even temporary ink will help you feel the pros and cons of tattoos. Define yourself with extraordinary excellence. Is bullying in schools down? My daughter came home really upset and hysterical about her friend at school. Her friend, I will call her Tammy, had brought prescription drugs and razor blades to school and she has been cutting herself a few times. They told her teacher and her teacher said she told the principal. She may have told the principal but nothing happened. My daughter and I then went to the school and asked about how to report this and that my daughter had been to the teacher regarding it a month ago and nothing was done. The principal assured us that something had been done and the girl’s parents had been contacted. We contacted everyone at that school to help this girl who is emotional all day-everyday at school. Then my daughter tries to help. We called to get more advice from your column and you said to keep reporting it until an adult does something about it. But we have lost faith in that because the girl is still hurting herself by cutting herself and she must have a dozen or so cuts. We are now worried about the stress this is causing our own daughter who is co-dependent with Tammy. We are at our wits end! I don’t want my daughter to keep getting caught up in the drama but I also don’t want this girl to keep mutilating her body and what if she commits suicide? Also, we heard a report that bullying is going down in numbers but that isn’t so, is it? Reports that say bullying is going down in schools don’t reflect reality. Although some reports may be technically accurate, it’s only because bullying happens most often in schools. 1 in 3 of our kids are still bullied in schools in the US; according to School Crime and Safety Reports. The reports only reflect the amount of schools actually reporting bullying incidents, and many have stopped routinely reporting them. It is now more common among 11-to-15-year-olds in the year 2014, whereas it was a broader spectrum in 2011-2013 with 10-to-25-year-olds. It is not uncommon for us to speak at elementary schools where teachers explain that girls are self-harming with tactics like biting, cutting, scratching, hitting, burning, and so on, with cutting the preferred means. Girls (and many boys) harm themselves as a temporary relief solution, unlike suicidal attempts as permanent solutions. The Journal of Pediatrics says being overweight is the reason most girls are bullied, along with envy and revenge. 70% of our kids have seen bullying in schools while 160,000 kids say they want to stay home from school every day because they have been or fear being bullied. Anecdotal reports indicate that incidents of bullying, especially cyberbullying, are actually on the rise. Your daughter is behaving as a co-dependent to the self-harming friend which will be a huge detriment to her healthy emotional behavior by exhausting herself from trying to rescue her friend. Even though rescuing is filled with good intentions, it’s unhealthy for both of them. -Bullying is not going down in numbers, it’s instead going up but not being reported as much—so keep telling until an adult until something is done. -We need teachers, parents, community leaders, and school leaders to be courageous to do the right thing for our children instead of worrying about funding and reputations. Keep your daughter involved with activities that put her in diverse social activities with many kids. Tell her that her heart is good but the cutter needs professional help.